The Dance Academy is a Bucks County dance studio dedicated to instilling the love of dance in all of our students. 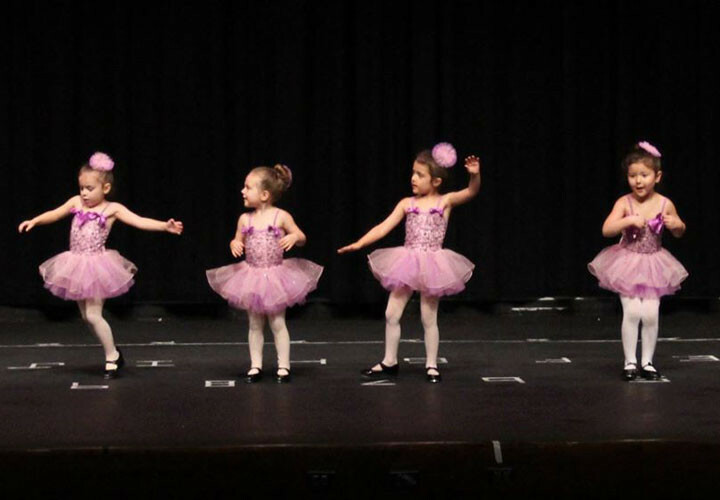 Located in Holland, Pa., we offer classes from children to adult including: toddler dance, ballet, jazz, tap, hip hop, lyrical, creative dance, theater dance, and acrobatics. Our classes are built to help each child develop strong core techniques and their personal artistic talent to the best of their abilities. Many of our students have enjoyed accomplished professional careers on Broadway and Hollywood as well as with professional dance companies. Our professional and positive environment encourages your dancer to reach their maximum potential using dance as both an educational and inspirational experience. Whether you’re looking for dance classes for your toddler or seeking a studio to grow with your budding ballerina, we’d love to talk with you. You can reach us at 215-860-9530 or fill out our form here to schedule a tour. After graduating High School, Dara went onto New York University (NYU) and studied musical theatre. There she took dance classes three days a week, along with singing and acting classes. At NYU, she was one of the more accomplished dancers. “I truly have TDA to thank for what I learned while I was growing up from dance classes to competitions, it has absolutely continued to help me along in my career. I am always thinking back to my roots as a dancer, because when it comes down to it, that foundation is everything,” said Dara.